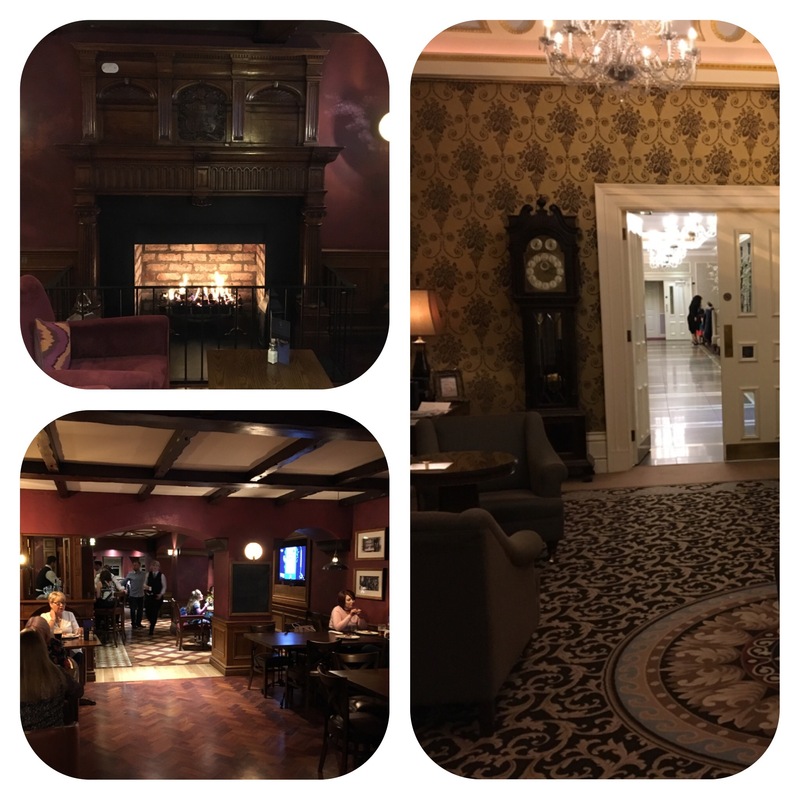 My eight and four year old daughters, wife and I spent a most luxurious, but short stay at The Manor House Country Hotel on Saturday/Sunday past. 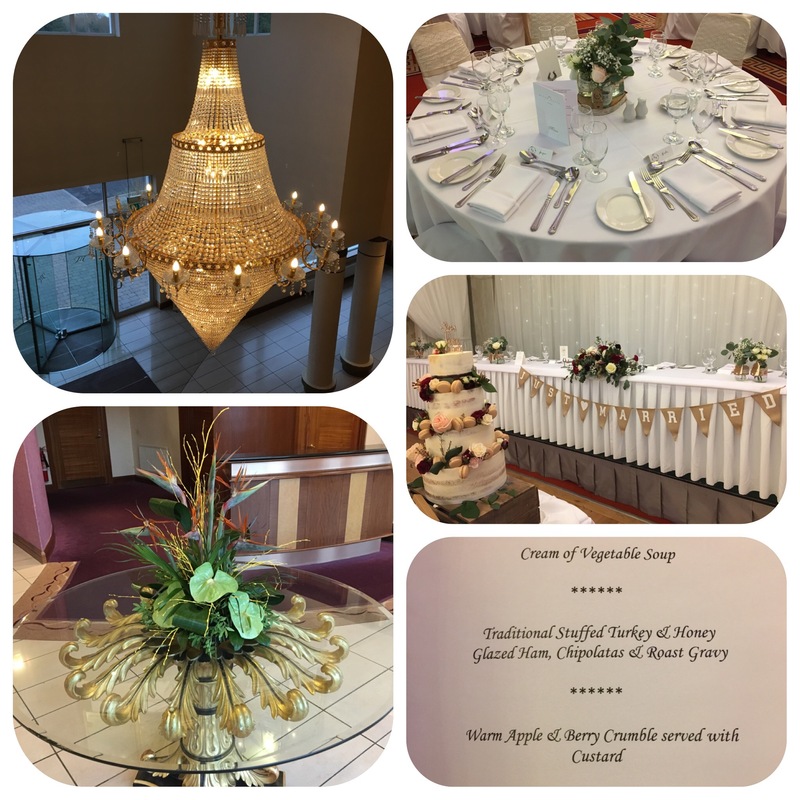 We had previously attended a wedding there in October last year, but couldn’t stay over. So we decided to come and spend some quality time and have some rest and relaxation. We were lucky to get the last family room- a very spacious and comfy room. 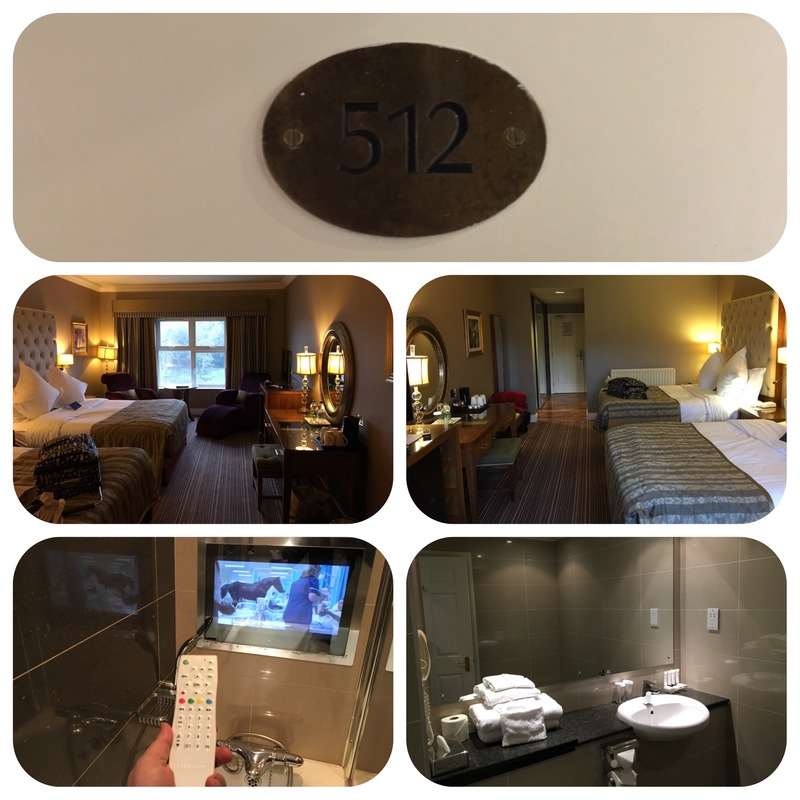 It had two large double beds, plenty of room for the four of us and my two girls loved the tv in the bath!!! There was another wedding going on so the place was buzzing. 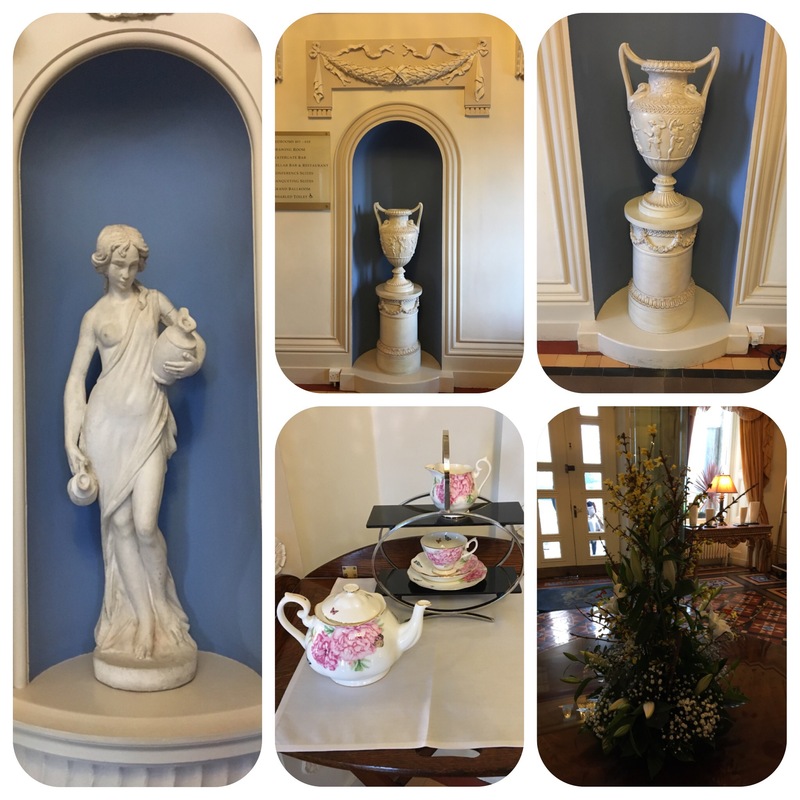 There are beautiful statues and pottery from the local Belleek pottery factory on show as well as some beautiful and intricate internal decor and fine wood work and craftsmanship evident all around the hotel. 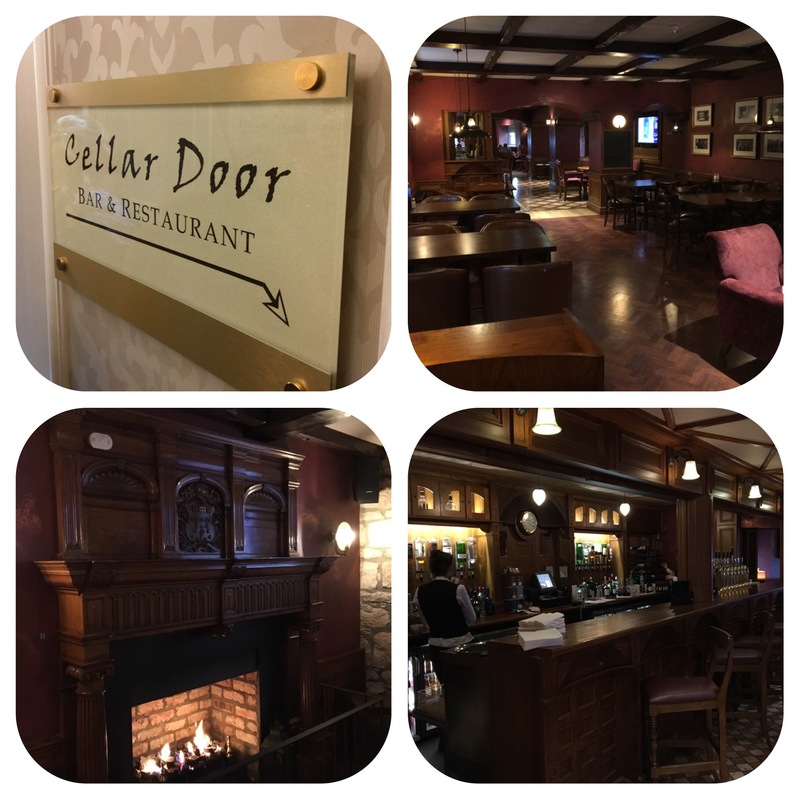 Once we had unpacked and booked ourselves dinner in The Cellar Door Restaurant, which is the bistro restaurant, we made our way to the other side of the hotel to the Spa complex. 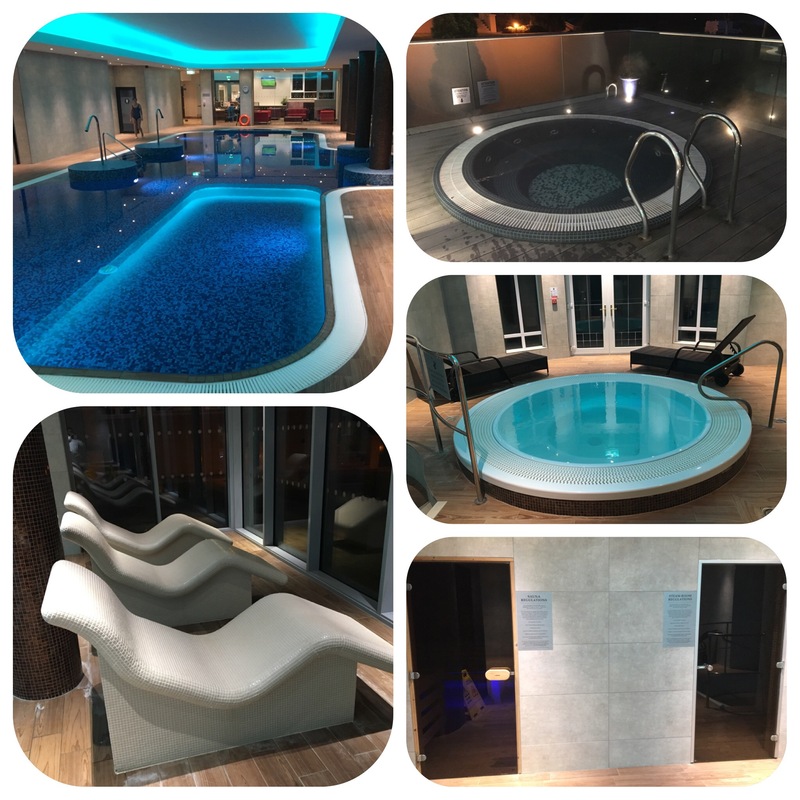 It has been modernised with electronic lockers, mosaic heated loungers, hot kiddies pool adjoining a cooler adult pool, indoor Jacuzzi, outdoor hot tub with great views, sauna and steam room. We spent a good hour just swimming, playing with the girls and generally winding down. 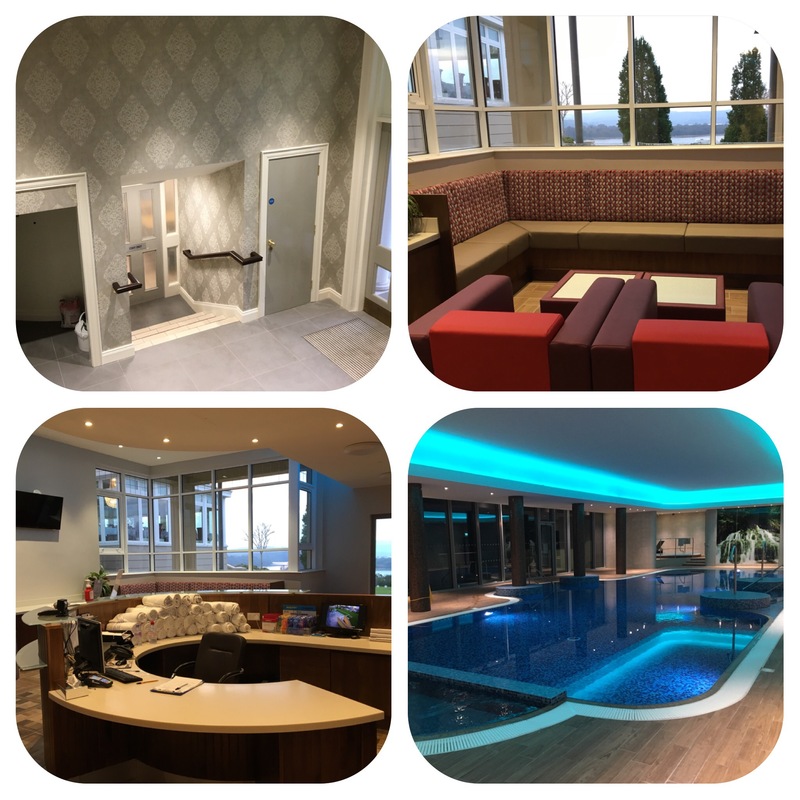 There is also a fully functional gym and treatment rooms. 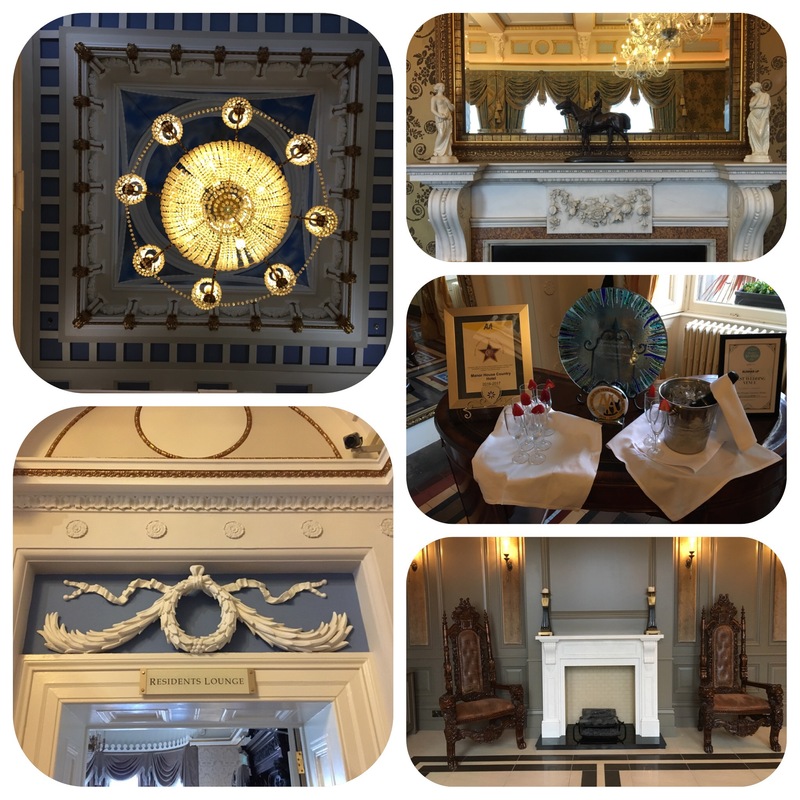 Now we could have walked through the hotel to the spa in the provided robes but would have felt a bit odd walking through/past the wedding guests and reception!!! 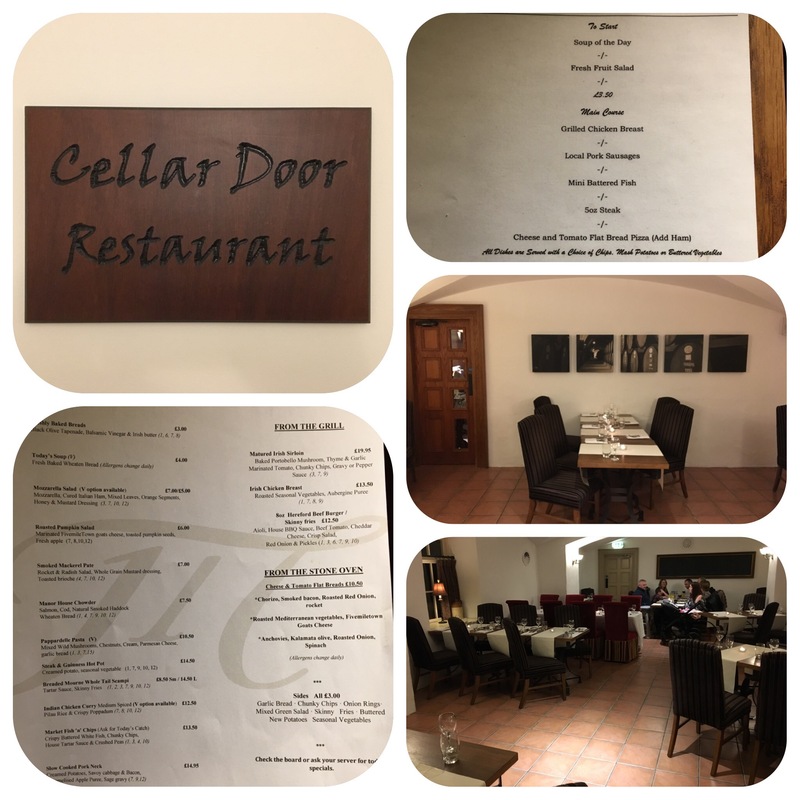 We certainly had built up an appetite and after getting changed for dinner we made our way to the Cellar Door Bar & Restaurant and were shown to our table. 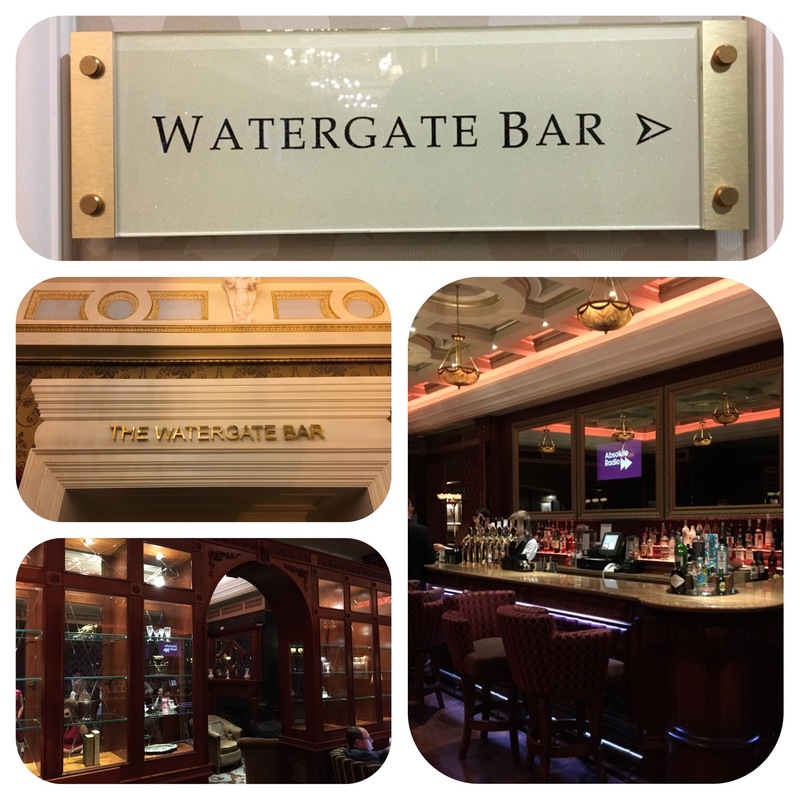 We planned on having a drink in the Watergate Bar before dinner-this is a lovely intimate bar and oozes class, but alas the kids were too hungry!! 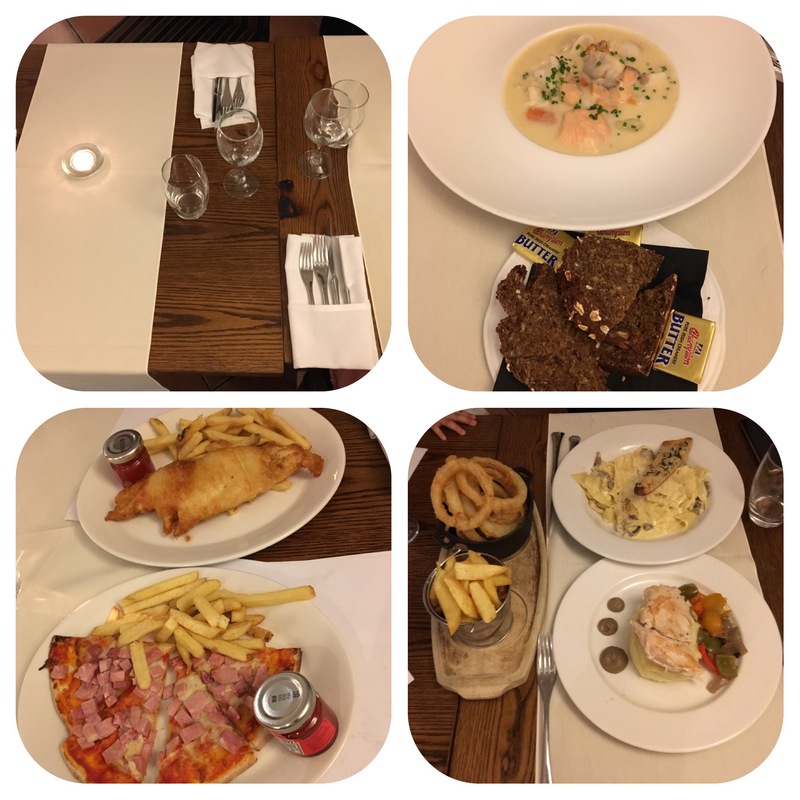 The menu choice for adults and kids was just right, with a good selection of dishes, the emphasis being on fish. For the girls we ordered a flatbread pizza with real chunks of ham and fish and chips. The two girls loved their dishes which were served with our starter of chowder and wheaten which my wife and I shared. For main course my wife chose the pappardelle pasta and I had the grilled chicken. This was served on mash, with roasted vegetables and aubergine puree, along with a side of chunky chips and onion rings. The pasta was vegetarian and absolutely wonderful and served with garlic bread and the grilled chicken was cooked to perfection. The kids loved the chunky chips also. The taste of the roasted vegetables married well with the mash and the aubergine puree was very distinctive. We had no room for sweet so we went back to our room and had an early night in the most comfy hotel beds I’ve been in. After a real good power shower, I went down to the spa to take some pics before the guests arrived and it looked so tranquil and inviting (pictures above) !! 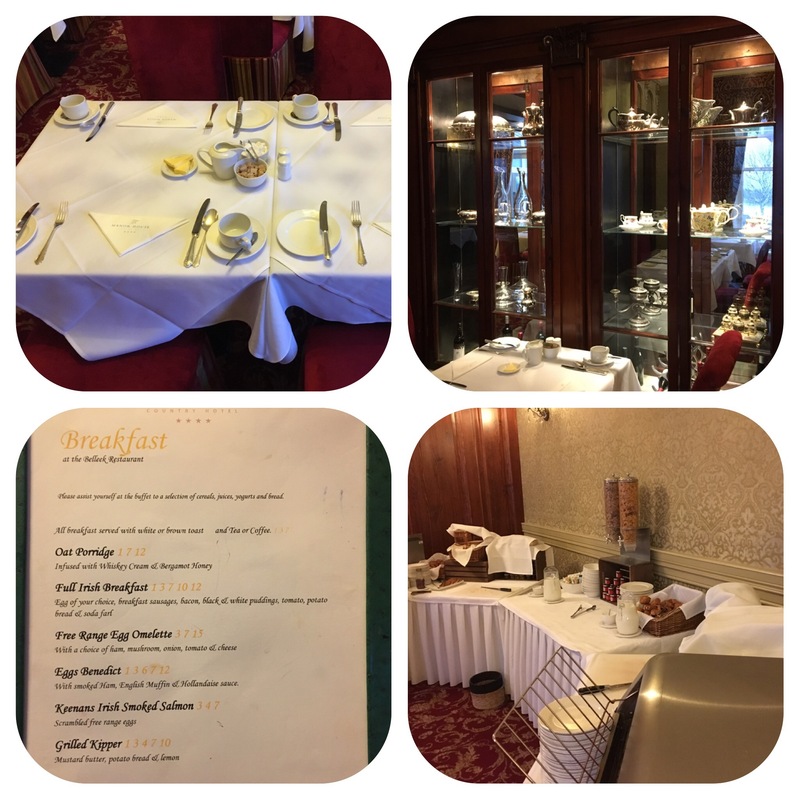 As we were leaving early it was time to pack up and make our way down to The Belleek Restaurant for our a la carte, table served breakfast. This is the sign of real class when one is table served a luscious breakfast. 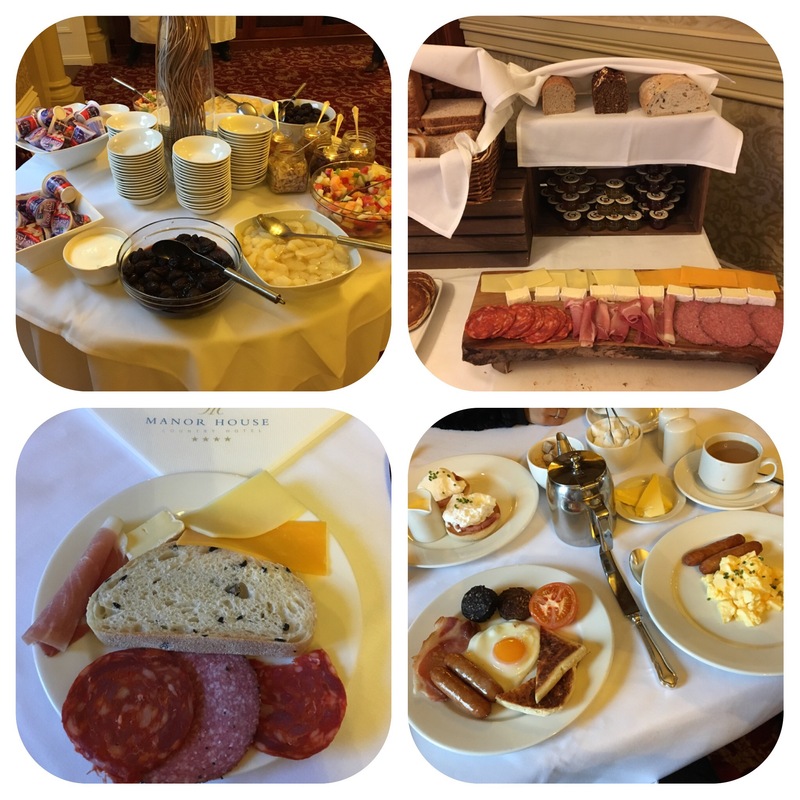 The girls had cereal and yoghurts, my wife had eggs Benedict, I had a small serving of bread, cheese and meat before a full Irish cooked breakfast. Note there were no beans or mushrooms served. My wife had loose leaf tea accompanied by a strainer and I had freshly brewed coffee, the girls had some hot chocolate. 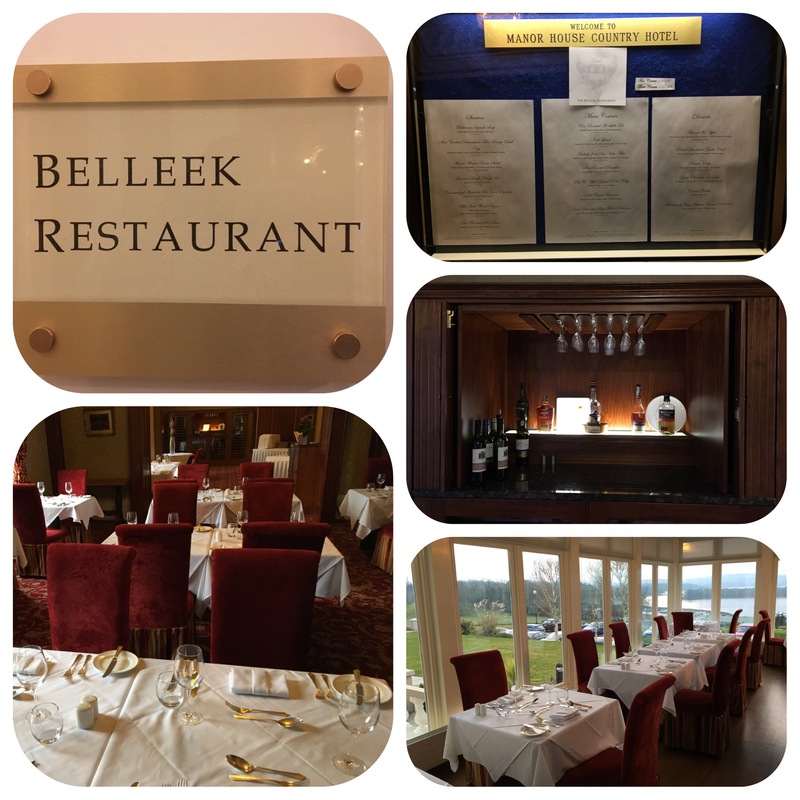 The Belleek Restaurant epitomises fine dining through and through and we would love to come back and have dinner there. 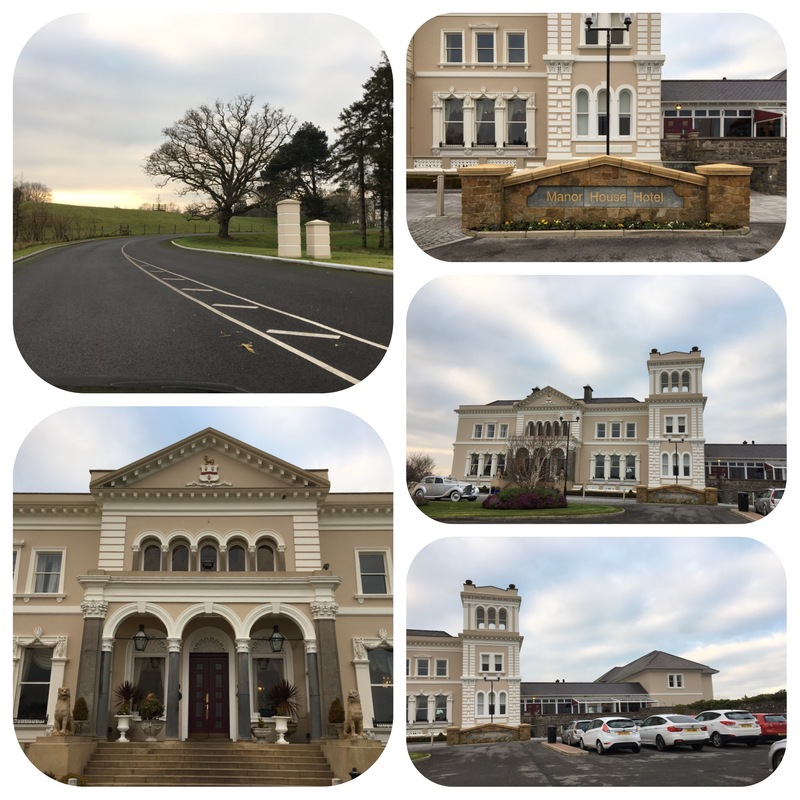 The Hotel is rated Four Star by Tourism N Ireland and I was puzzled why it was not 5 Star, but a chat with the GM John on Sunday explained all that. 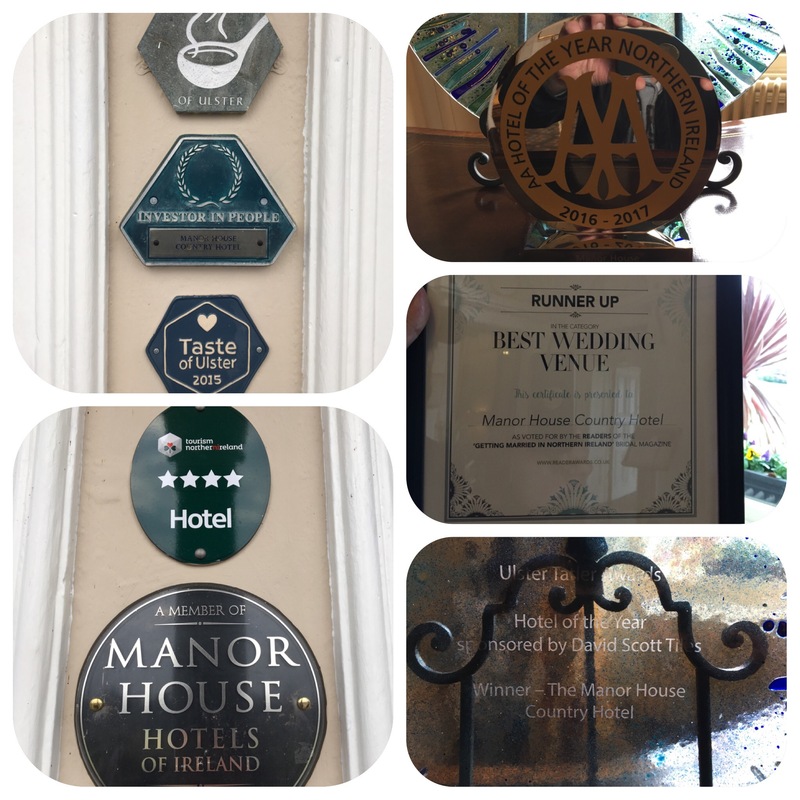 The food and hotel has won many awards such as Ulster Tatler Award in 2015, Irish Restaurant Award 2015, Two AA Rosettes For Culinary Excellence, Yes Chef Awards 2016, Tripadvisor Certificate of Excellence and The AA Hotel Of The Year Northern Ireland 2016-17 to name but a few!!!! It is not difficult to see why they have won all these awards as from the moment we drove up the well kept, long driveway and through the well manicured golf course, to the quality and style of the decor, to the very high standards of service by all staff and the amazing food and facilities it is easy to see why. Also there are stunning views, a lovely garden and a marina as well as chalets that can be privately rented, this suits a wide range of clientele. There is also the Lady Of The Lake Cruiser which is owned by the hotel (more details on website). They have some fantastic deals on their web site, I would seriously consider checking them out and booking in. 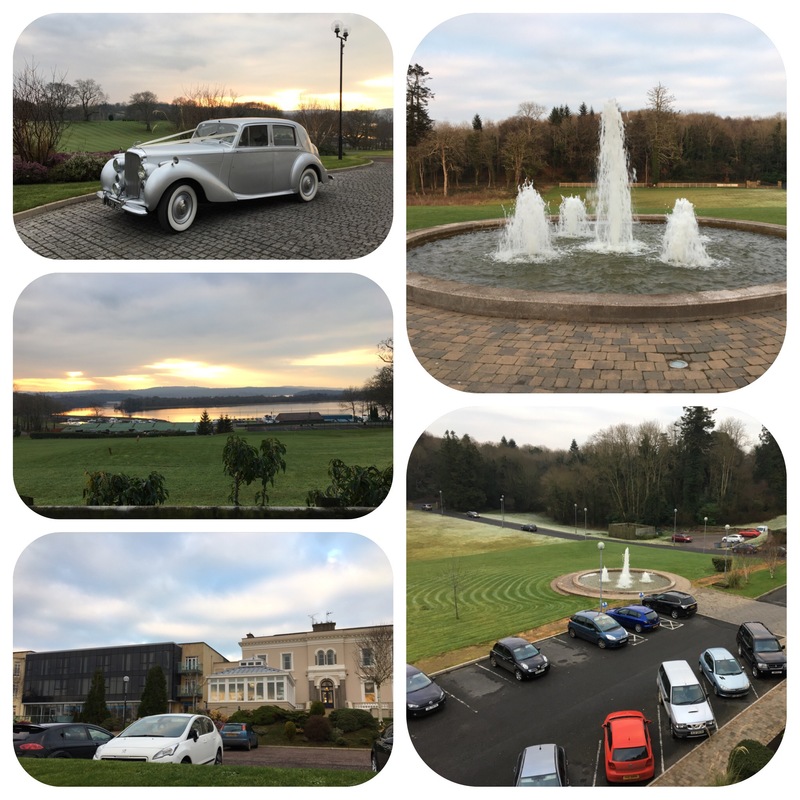 May I and my family thank John Dolan, John O’Neill and all the staff for their wonderful hospitality. We will definitely be back. Looks like a gorgeous hotel!